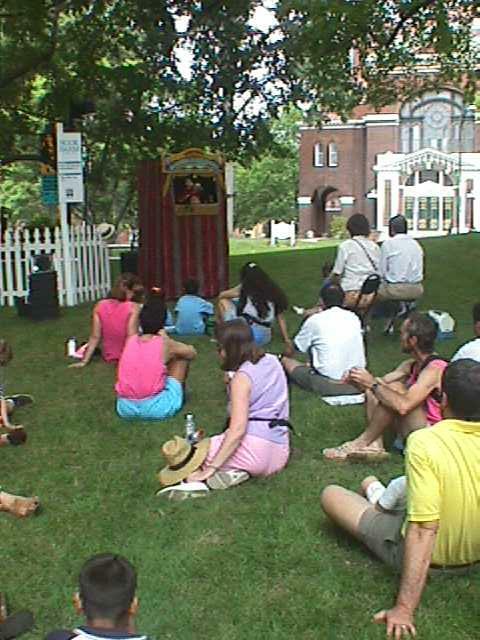 Puppet Theatre on the new lawn of The Mark Twain House. This restored area was formerly the parking lot. 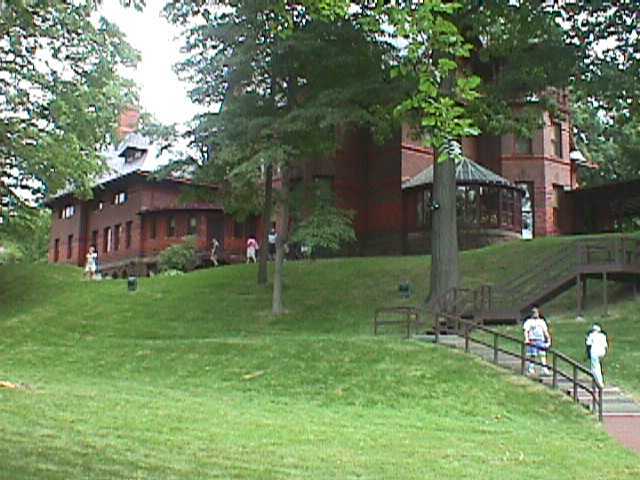 A rear view of The Mark Twain House showing the restored landscape. 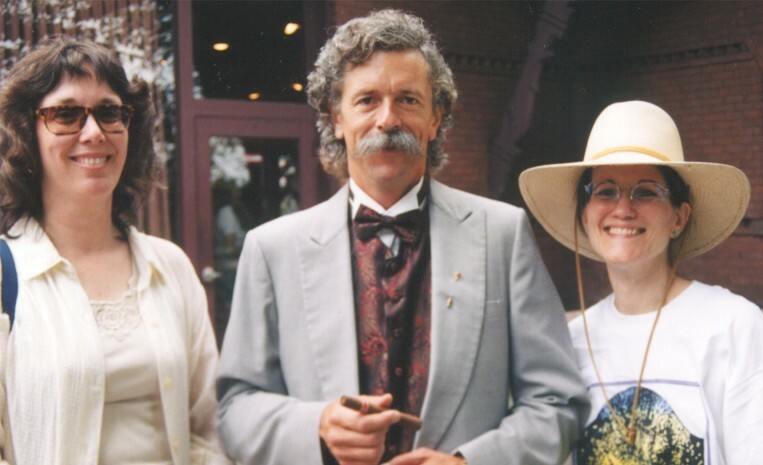 Betsy Cotton, Mark Twain, and Pegge Bochynski in front of Mark Twain's Carriage House. 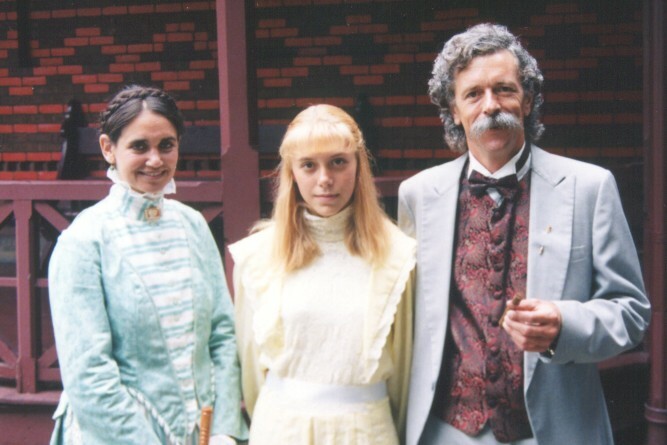 Livy, Susy and Sam Clemens in front of the Hartford home. 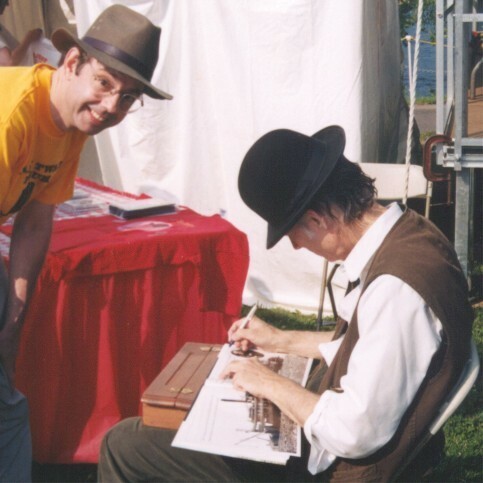 Singer-songwriter and riverboat pilot, John Hartford autographs the Mark Twain cameo in Kevin's copy of John Hartford's book, Steamboat in a Cornfield .